I was heading to the gym at about 6:15 a.m. this week on my bike. To ride on a stationary bike. When it dawned on me: why not ride my bike through the streets? I'm making myself sound more clueless than I am: when there is a lot of traffic, you can't really get a good cardio workout by biking around TO. Too many stop signs, red lights, etc. But prior to 6:45 a.m., in The Annex, at least, it's pretty deserted and you can really boot it. Bonus? 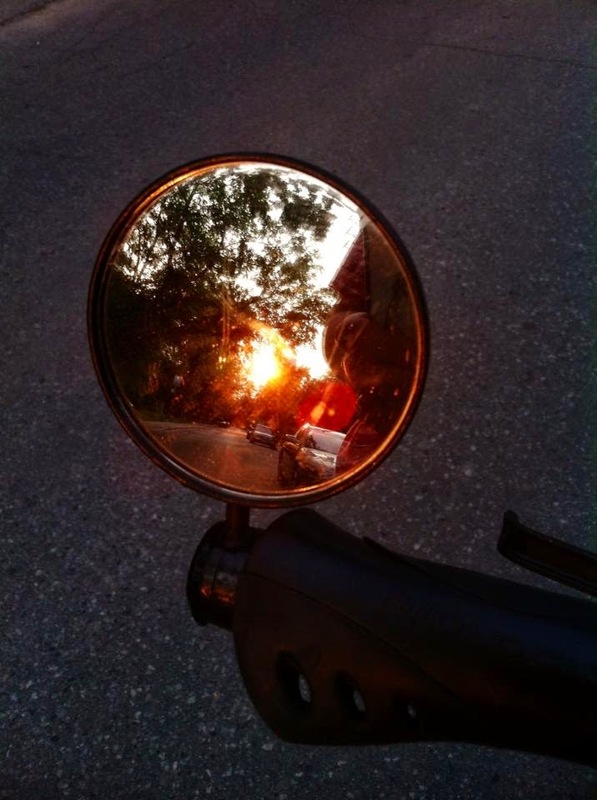 Taking pics in your rearview mirror of a glowing ball of sun just rising.